We are excited to announce the public release of one of our favorite short films “Six Dead Bodies Duct-Taped to a Merry-Go-Round” directed by Kevin T. Bennett. A deranged trucker with a pinch of Nietzche, a reluctant soldier with PTSD, and a freezer truck full of cadavers spin comically out of control on an overnight cross country trip toward fortune, fame, and the crazy things we do for love. Kicking off the last week is Episode 10 of our BTS series. See the cast and director of The Wight Christmas discuss the major issues brought up in the film, and why it is important to tell stories like this in today's world. Episode 09 is our final episode of this week featuring Evan Silcox in the role of Evan Wight. Evan has been with Crooked pictures since our 2013 film "Story Time," and we were very excited to have him back for this new adventure. See him and director Levi Taylor discuss the role in The Wight Christmas. In Episode 08 of our series director Levi Taylor and actor Bradford James Jackson (Bradford Jackson Films) talk about the character Jerry Wight and the sturggles he goes through being the black sheep of the famiy. Here in Episode 07 director Levi Taylor and actress Katie Wallack talk about the character Hanna Wight, and her life growing up in a small town with her father and younger brothers. Continuing our look into the characters of The Wight Christmas, Episode 06 in our series features actor Matt V Fernandez in the role of Officer Jake Wight. Join Matt, and Director Levi Taylor, as they discuss Jake’s role in the family, and his suspicions regarding the circumstances surrounding their father’s death. D.K. Johnston and Levi Taylor of Crooked Pictures LLC joined host Quinton Oliver Smith on The Last Frontier Cinema Podcast! Talking about The Wight Christmas and our roots in the Alaska film community. Check out this episode and others on iTunes and Podbean today! We are proud to announce that The Wight Christmas will premiere at the 2019 Beverly Hills Film Festival on April 6th at the TCL Chinese Theatres. Congratulations to the entire cast and crew! Help The Wight Christmas reach as many audiences as possible by donating to the Indiegogo Campaign! In Episode 05 of our behind-the-scene series we begin to take a closer look at the Wight family siblings beginning with the oldest, Edward Wight. Edward is a confident lawyer who has been thrust back into his small town roots following his father's death to be the executor of his will. Of course coming home after so many years isn't as easy as it seems. Jamie Nelson, star of both stage and screen, discusses his role in the film along with writer/director Levi Taylor. We have so much great content and announcements to share this week! Kicking off our second week of The Wight Christmas Indiegogo campaign we are excited to present Episode 04 - Not Your Family Christmas. Here the cast of The Wight Christmas talk about their own families during the holidays, and Director Levi A. Taylor speaks to creating a short film from the feature length script. Featuring music by Angry Johnny And The Killbillies! We've had a great first week of our Indiegogo campaign for The Wight Christmas, and have really enjoyed interacting with all of our fans as you all get your first looks at the film. We have more in stored throughout the enitre month so stay tuned! Be sure to continue to donate, share (https://bit.ly/2T6M2Rl) and discuss the film, and its subject, as we head into week two of our campaign. Thank you again from all of the cast and crew of The Wight Christmas! We'd like start today by acknowledging all of the amazing commuity support we have received for our campaign thus far. Keep it up everyone and we'll have this film in the can, and a feature well on the way! Episode 02 of our behnid-the-scenes series features Director Levi A. Taylor and the cast members of The Wight Christmas (Matt V Fernandez, Jamie Nelson, Katie Wallack, Bradford James Jackson and Evan Silcox) discussing how they got involved with the production. Thank you all again, and be sure to share the Indiegogo link! We are excited to announce that Episode 01 of our behind-the-scenes series is now live as we go into the first week of our Indiegogo campaign for The Wight Christmas. Over the weekend we achieved over 15% of our goal, and we are very thankful for the support via donations, social media shares and messages from our fans. 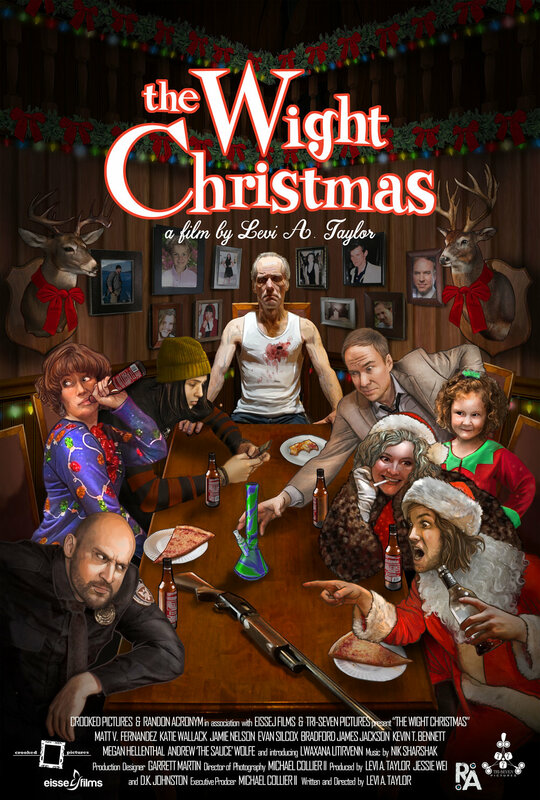 In our opening episode Writer/Director Levi A. Taylor talks about the creation of The Wight Christmas, and what his plans are for film in the near future. For more information on the campaign and how to donate visit our Indiegogo page HERE. The Wight Christmas Indiegogo is live! On Friday, March 1, 2019 Crooked Pictures & Random Acronym in association with Tri-Seven Pictures and Eissej Films will launch a month long Indiegogo Campaign to raise finishing funds of the short concept film The Wight Christmas. The campaign will feature a twelve-part video series as well as behind-the-scenes photos and artwork from the making of the film. Stay tuned to our site and social media pages for further updates! Army & Coop is making it's Colorado big screen premiere in Denver on August 25 as part of the 2018 Blissfest333 Film Festival. The screening will take place at the Alamo Drafthouse @ Sloan Lake (4255 W Colfax Ave, Denver, CO 80204). Many of the cast and crew will be in attendance for a Q&A following the film, and then we'll all be heading to Bar Fly, located inside the Alamo, for the after party following the end of the screening day. We are all very proud of this film, and can't wait to show it off to our Colorado Film Family. Tri-Seven Pictures is saddling up again for a new dramatic short film with writer/director Levi A. Taylor, and the production teams from Crooked Pictures, Random Acronym and Eissej Films. If you are in Alaska and would like to audition see the details listed below. Upcoming Audition Sun 1/14 and Wed 1/17. Logline: After the Wight family patriarch presumably commits suicide, his estranged children come together for the Christmas holiday, and wind up unwrapping a host of dark secrets. Run Time: approx 20 minutes. Union Status: Accepting Union and Non-Union actors. SAG-AFTRA Short Film Contract. Audition Information: Sunday 1/14 at Noon, and Wednesday 1/17 at 6pm. Call or email for audition slot and sides. Shooting Schedule: Rehearsal late Jan - mid Feb. Shooting 3 days in Feb.
Tri-Seven has teamed up with Denver Media Professionals to host a production panel entitled "Ultra Low Budget Filmmaking - How They Made Army and Coop" taking place October 24th, 2017 starting at 6PM. See the MeetUp page for more information. Join the cast & crew of the film as we talk about the various steps taken to bring the film from concept to final product. Writer/Director/Producer Dennis Hefter along with Tri-Seven's D.K. Johnston and Producer Andrew Hefter will be kicking off the night, and inviting various members of the cast and crew up to talk about their roles in the film, and what each of them brought to the project, which was completed this summer. After eight months of editing, crowdfunding, editing, sounds design, coloring and last EDITING we have completed the final export of Army & Coop! Our next step is talking with distribution contacts and working on festival submissions for a 2018 premiere. Stay tuned here, and to our social networks, for more information on upcoming showings. Congrats to the entire cast and crew on coming together to create a fantastic film! Recently Tri-Seven's own D.K. Johnston sat down with Curt Donohue of the Denver Media Professionals for their latest Podcast. During the podcast the two discussed D.K. 's career in production, the Colorado film community, DGA and other production related topics pertaining to the world of independent filmmaking. For more content and event schedules visit www.denvermediapro.com, and a we'd like to thank Curt and his organization for their continued support of the local film community. In March Tri-Seven's own D.K. Johnston was recruited to be one of three Directing instructors during the TEDx Adventures Filmmaking Workshop in Denver, Colorado. Together with assistant director Vincent Gonzales and director/cinematographer John Johnston the three directors worked with a group of kids from all over Colorado (Ages 13-16) to produce a 2-3 minute short film. Shot entirely at The Lot at Rino with instructors in acting, cinematography and editing helping to put the films together from start to finish in just one day. Most of the kids had very little to no experience in filmmaking, but all attended with enthusiastic attitudes, and a willingness to learn what it takes to be a professional in the world of film & television production. The instructors provided a short script, camera, sound equipment and a dedicated editor for each of the three teams. The scripts were identical, but the students were allowed to take what they learned that day and fill in the ending with their own ideas. We'll be posting the additional films produced for the workshop as they become available, but take a look below at the final story produced by D.K. and his team of students. tri-seven and crooked pictures to screen at the 2017 Efpalooza film festival in Denver, colorado march 16-18. Hosted by The Emerging Filmmakers Project in Denver, EFPalooza is a annual event highlighting some of the best films screened at previous monthly events over the past year. Levi A. Taylor's film "Father of Lies" will screen on March 16th as part of the March Emerging Filmmakers Project kicking off the festival starting at 8PM, and D.K. Johnston's "Break in Reality" will close the festival on Saturday the 18th starting at 9PM. The event will screen at The Bug Theater in Denver, and advanced tickets for the screenings can be purchased HERE. Tri-Seven in association with No Clue Entertainment launches Post-Production Indiegogo Campaign for recent feature comedy "Army & Coop"
The feature-length comedy "Army & Coop" is seeking your assistance in raising funds to support the final stages of the post-production process in order to bring the most polished vision of the film to a screen near you. This motion picture is the directorial debut of writer, director and producer Dennis Hefter and producer D.K. Johnston. The project completed filming in winter 2016 with the help of a dedicated cast and crew, but we need your help to cross the finish line. Learn more about how to contribute by clicking HERE! We recently received word that the short film we produced in collaboration with director Kevin T. Bennett and DP Steve Rychetnik has been accepted into the 2017 Hollywood Reel Independent Film Festival. The short was originally a stage play adapted to the screen, and produced, by Bennett and our own D.K. Johnston. If you are in the Los Angeles area be sure to come out February 16-26 to see some Alaskan talent on the big screen! This week we are excited that www.lhvc.com did a featured piece on our film and Writer/Director/Producer Dennis Hefter. Several of the cast were also interviewed and recapped the story of how the film came to be. We are very proud of the hard work and dedication both cast and crew brought to the project, and look forward to its release later this year. See the full article HERE. On Thursday, September 15, 2016 D.K. Johnston will present the short film "Story Time", directed by Levi A. Taylor of Crooked Pictures, along with several other shorts produced by local filmmakers. The screening will take place at the Bug Theatre in Denver, CO starting at 8pm. Tickets at $5, free local beer for those over 21. The film was produced in collaboration with Tri-Seven with Producer D.K. Johnston. The Film stars Bradford James Jackson, Evan Silcox and Niamh Rossignol. Set in the Alaskan wilderness in 1991 "Story Time" gives audiences a glimpse into the unique upbringing of director Levi A. Taylor. Short in 2012 and premiered in 2013 this film represents the second of six films Tri-Seven has helped produced in league with Crooked Pictures. We look forward to many more. For more information on the event visit www.efpdenver.com. D.K. also did a short interview about his experience on the production. Click Here for the full story. This past weekend D.K. Johnston and Tri-Seven Pictures, along with Crooked Pictures, presented "The Cypherian: Lineage" screenplay and the short film "Father of Lies" at the 2016 Beverly Hills Film Festival. On Sunday during the closing night festival gala D.K. was awarded 1st Runner Up in the Screenplay Competition out of over 1,000 scripts submitted to this year's festival. "Father of Lies" opened to a full theater in front of the Festival Award-Winning film "Irrefutable Proof" directed by Ziad H. Hamzeh. The film was incredibly well received and attended by many of the cast and crew, including director Levi A. Taylor, who helped bring the film to life last summer. This is Tri-Seven's fourth project accepted into competition at the Beverly Hills Film Festival and third project with Crooked Pictures. We'd like to thank the festival for having us again this year, and congratulations to all the filmmakers and screenwriters at this year's festival. 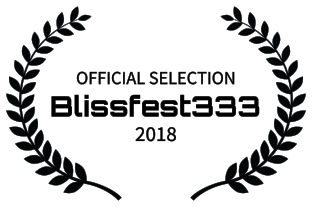 We recently received word that one of our latests shorts films “Father of Lies” was selected as part of the 2016 Beverly Hills Film Festival. After over a year on the festival circuit we are proud to announce that “Break in Reality is now online! tri-seven pictures headed to stiff! We are proud to announce our narrative short “Break in Reality” will be screening in Seattle, WA on May 5th opening for the Animated Feature Documentary “Truth has Fallen” starting at 6PM (PT). Below is the screening schedule and link to ticket sales. If you are in the area be sure to stop by and say hello! For more information on the rest of the festival visit trueindependet.org. We are thrilled to announce that our very own Producer & Assistant Director, D.K. Johnston, was selected as one of Alaska’s Top 40 Under 40 this year. This event honors the state’s top young professionals who have demonstrated professional excellence and a commitment to their community. You can read the full list of this this year’s nominees HERE. We are proud to announce that two of Tri-Seven’s latest projects have been selected by the Anchorage International Film Festival! Below are the screening schedule and link to other related events Tri-Seven Pictures will be participating in during the festival. For more information on the rest of the festival visit anchoragefilmfestival.org. As Alaska’s legislature debates the extension of the Film & Television Tax Incentive Program Tri-Seven’s own D.K. Johnston submitted the following letter to the Anchorage Daily News. The letter was drafted in response to recently printed opposition pieces disputing the usefulness of Senate Bill 23 in helping to create a sustainable industry in Alaska. Additional letters can be found HERE. In all the recent conversations about the Film Tax Incentive program, people seem to forget the creative impact and community unification which has taken place over the last few years. I am one of many Alaskans who traveled outside the state to obtain education and experience in film and television production. After graduating from school I began “paying my dues” in California, but after two years I found myself coming back to Alaska more often for work than in the Lower 48. This was due mainly to the tax incentive. Since returning full time I have seen a small community of amateur and professional storytellers come together and establish a network of hard-working filmmakers. This network was made possible by the incentive, and without a ten-year commitment from the state these filmmakers will be forced to follow the industry elsewhere. I hope people understand that without SB23 we aren’t just turning our backs on this industry, but we are also turning our backs on a new generation of aspiring Alaska storytellers. The original design for the logo was created by Carol VanDerWege for our short film “The Cypherian“. The symbol was worn by our hero Servius, and the design is derived from anceient Celtic, Druid, and Egyptian designs. The three stones in middle were made from onyx to represent strength. The three sevens were chosen to reflect D.K. and Katherine’s wedding date. 7-7-07.